Ever wanted to float "pointlessly" through a field of qubes? Now you can! What's more boring than using pre-existing libraries? Trick question. Nothing. You always use pre-existing libraries. Unless you are bored and at a hackathon, then you obviously try to implement your own 3D rendering engine within 24 hours using the matrix transformations you just learned from the matrix algebra class you aren't even enrolled in. Qubes in 3D space are generated randomly. The user then floats through space, mostly empty, just like my sleep-deprived brain as I am writing this. We defined a bunch of 3D vectors, then used perspective projection to display them onto a 2D surface. It was difficult at first to keep track of which surfaces are on top of each other. However, after consuming more notebook pages than a whole semester of class, we figured it out. We figured out the math ourselves. And we octographed an octocat. Unity3D and OpenGL exist for a reason. We will qube root the run time and add 100% more Soylent. 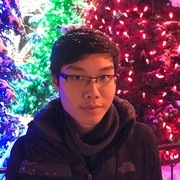 I worked on the projection algorithm we used to "flatten" 3D vectors into 2D. 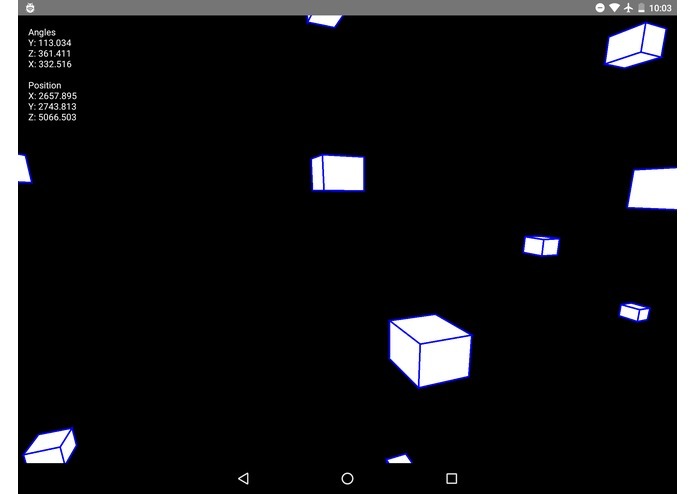 I also worked on rendering the frames in our Android app and connecting the sensor inputs to the projection algorithm.